We travel to enjoy life, to learn and add to our treasure chest of memories. Some of the most unforgettable experiences happen when we are on the road -- and they may be good or bad. Having a little of the local language can make all the difference. The young people in this short video learn this reality as they shop, prepare and serve a simple meal for new-found friends -- and create their own wonderful memories. Brazilian Portuguese courses are online now. Fantastic news: we have uploaded Brazilian PORTUGUESE to Sulantra.com! 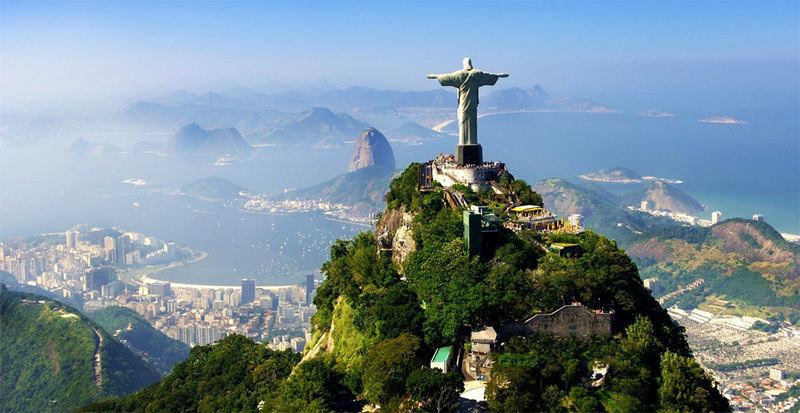 Great timing for those people who plan to head south for the 2014 FIFA World Cup or are seriously thinking of flying to Rio for the 2016 Olympics. It’s never too early to start learning the language of this wonderful country – and there is no more fun and efficient way to do it than with Sulantra! This short video shows how just a little language opens doors to a new world of life experiences. A group of tourists study Sulantra's Khmer course then head to Southeast Asia to test their communication skills as they shop, ask for directions, order in restaurants and more in Cambodia! They survive on the streets of Siem Reap then challenge themselves by heading into the countryside where they teach kids origami and learn how to cook some local dishes. For this group, travel will never be the same. A little language definitely goes a long way! If you love traveling and enjoy our video, please share it with your friends. Thanks! Some great news to start the year – we have just uploaded our British English courses! Recorded in London, the language is spoken at natural speed with a range of standard accents to help you get used to the way the locals talk. This material will definitely help you brush up on your listening and speaking skills. Get ready to communicate the British way with a little help from Sulantra! Sunny side up? Easy over? If you have trouble deciding, just imagine how bad it is for a foreign tourist. Hear it from the horse's mouth - Italian and Chinese! How do you want YOUR eggs? Try our free courses in Spanish, Chinese, Italian, Japanese, German, Korean, Turkish, Thai, Bulgarian and English – with more on the way!